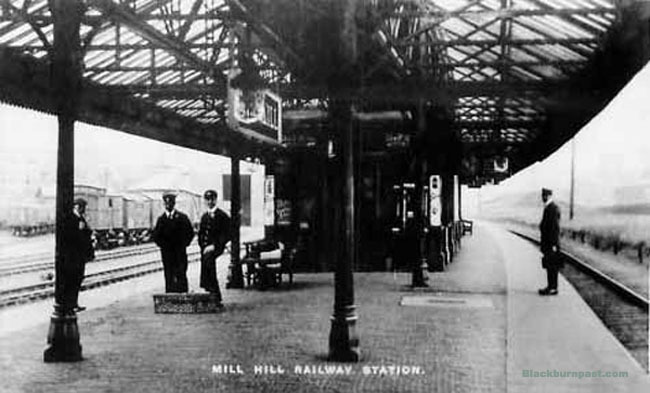 The platform at Mill Hill Station. I think we're looking towards Blackburn, but I could be wrong. Possibly early 20th century, but if anyone can date the uniforms and can narrow it down to a decade, I can always amend the title. this is looking towards Blackburn..if it was preston there would be a bridge there..hope this helps..crackin foto..